Be Aware of Loan Fraud! Is Your Debt Out Of Control ? 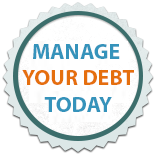 We could guide you to reduce your debt and start a debt free life. We provide expert, tailored no obligation solution to your debt problems. 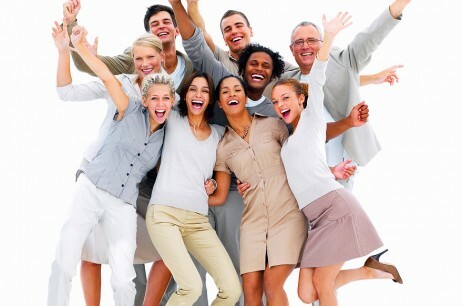 DebtFriendly.co.uk is an innovative way of managing debt problems. We could guide you toward a solution that will be exclusive to your personal situation. If you are struggling to pay credit card, store cards, loans or a mixture of different debts, we are here to help you! The type of debt we can help you with includes – UNSECURED PERSONAL LOANS, OVERDRAFTS, CREDIT AND STORE CARDS, FINANCE AGREEMENTS, CAR LOANS, Council Tax / Utility Arrears, Mortgage Shortfall ETC. Simply fill out the form at the top to find out the best solution for your individual financial circumstances. Find out how much debt you could write off today. DebtFriendly.co.uk is an impartial and independent debt solution search service, dedicated to helping you find the best solution to relieve you from your debt. Our friendly service has been designed to keep things simple and is completely free. All the information provided by you is stored safe, secure and confidential. Do you charge for your online service? We never let you pay us any money for using our comparison service. It is absolutely free of cost. We only receive our income from charging the financial expert whom we send your enquiries to and this charge can be fixed or it may vary. This charge will only relate to the introduction of you to the financial expert. No other additional charges apply as neither we receive nor charge any other amount to you or the financial expert whom your details are passed to. These terms and conditions apply to your use of this website. DebtFriendly.co.uk provides an independent online service which enables you to research and compare Debt Solution provided by third parties whilst using this Website and our comparison service is free for you to use. Our aim is to provide uninterrupted access to this Website but we give no warranty as to the uninterrupted availability of this Website and we reserve the right to suspend, restrict or terminate your access to this website at any time. We reserve the right to add, amend, delete, edit, remove or modify any information, content, material or data displayed on this Website and without notice from time to time. We do not add any fees or commissions to the products or services you compare. Instead, we will introduce you to other parties who provide products or services. We are paid by charging those third party product or service providers a fee and/or commission for introductions made. Any financial information featured on the website or accessed via a link from the website is not considered to be financial advice from Click Search Media Ltd or DebtFriendly.co.uk. Click Search Media Ltd is not authorised by the Financial Conduct Authority (FCA) regarding financial products and should not be regarded as a financial advisor. Please be aware that nothing on this Website is, or shall be deemed to constitute, financial, investment or other advice or a recommendation or endorsement by us in respect of any product or service referred to on this Website. Information on this Website is provided for general information purposes only, should not be relied upon by you and is provided so that you can select the product or service that you feel is most appropriate to meet your needs. You should always check the suitability, adequacy and appropriateness of the product or service that is of interest to you and it is your sole decision whether to obtain or refrain from obtaining any product or service. If you are in any doubt as to the suitability, adequacy or appropriateness of any product or service referred to on this Website, we suggest that you seek independent professional advice before you obtain any product or service via this Website. We request you to be aware that nothing on this Website is, or shall be deemed to constitute, an offer by us or any third party to sell to you any product or service or to enter into any contract with you in respect of any product or service. By submitting your details, you are making an offer to obtain the relevant product or service from the relevant third party on its terms and conditions that may be accepted or rejected. The contract for the product or service will only be concluded once your offer has been accepted. No logos, trade marks or service marks displayed on this Website may be printed or downloaded, except as part of the text of which they form part. All rights in DebtFriendly.co.uk are owned by Click Search Media Ltd or DebtFriendly.co.uk. You shall retain ownership of any views, opinions, reviews, ratings, comments, content or material you submit, display, distribute, upload, post, share, publish or otherwise make publicly available on or through this Website (User Content). You grant us a perpetual, irrevocable, transferable, worldwide, royalty free and unlimited license to use, modify, keep, share, sell, save, copy, distribute, publish, display, excerpt, reproduce, utilise, extract, make available and transmit such User Content in any manner and for any purpose. Any views, opinions, advice, reviews, ratings or comments on this Website or any third party websites which are made by third parties (including User Content if any) do not represent our views, opinions or advice, should not be relied upon by you and are not checked, monitored, reviewed, verified or endorsed by us. We are not responsible or liable for any loss or damage you may suffer or incur in connection with such views, opinions, advice, reviews, ratings or comments including in relation to their accuracy, truthfulness or completeness. 1. Any loss or damage you may suffer or incur in connection with your use of this Website which is caused by any event beyond our reasonable control including the electronic transmission of information, content, material and data over the internet and the interception or decryption of it by others. 2. Any indirect loss or damage you may suffer or incur in connection with your use of this Website (including any loss of savings you expect to make, loss of business or business opportunity, or loss of profit or revenue) or for any loss or damage you may suffer or incur in connection with your use of this website which was not foreseeable by us when you used this website. 3. Any loss or damage you may suffer or incur in connection with any inability to access and use this Website for any reason. You can apply for a number of products and services via this Website. These products and services are not provided by us but are instead provided by third parties over whom we do not have control. It is your responsibility to satisfy yourself that you wish to obtain any product or service before doing so. We are not responsible or liable for any loss or damage you may suffer or incur in connection with any product or service you obtain after using this Website or for any acts, omissions, errors or defaults of any third party in connection with that product or service. Please be aware that the information and descriptions of products and services on this Website may not represent the complete descriptions of all the features and terms and conditions of those products and services. You must ensure that you carefully read all the features and terms and conditions of any product or service before applying for it. We provide links from this Website and from emails sent to you as part of our service to the websites of third parties. These websites are owned and operated by third parties over whom we do not have control. You access and use these third party websites at your sole risk and your sole discretion. You are solely responsible for any use of these third party websites and for any decision to obtain or refrain from obtaining any of the products or services available on such third party websites. Any links to third party websites are provided for your interest and convenience only. We do not endorse, recommend or accept responsibility for such third parties, their products or services, their websites or for any information, opinions or views given or advice provided by such third parties (whether on their websites or otherwise). We are not responsible or liable for any loss or damage you may suffer or incur in connection with your use of any third party websites or for any acts, omissions, errors or defaults of any third party in connection with their website. Please be aware that whilst this website provides information on a wide range of products or services, there may be other products or services available on the market which are not shown on this website and which may be more appropriate or suitable for you than those shown on this website. You must take all reasonable precautions (including using appropriate virus checking software) to ensure that any information, content, material or data you provide (including User Content) is free from viruses, spyware, malicious software, trojans, worms, logic bombs and anything else which may have a contaminating, harmful or destructive effect on any part of this website or the websites of third parties or any other technology. You agree that you will be liable to us for any damage, loss, claim, demand, liability or expense (including reasonable legal fees) that we may suffer or incur arising out of or in connection with your conduct on this website. We’ll try to resolve your complaint within 48 hours. If we are not able to do so, we will provide you with an acknowledgement. After we have had an opportunity to investigate your concerns, we will issue you with a final response. Depending on the nature of your complaint and if you remain dissatisfied with our response, you may have the right to refer your case to the Financial Ombudsman Service at South Quay Plaza, 183 Marsh Wall, London, E14 9SR; telephone: 0845 080 1800; email: enquiries@financial-ombudsman.org.uk; website http://www.financial-ombudsman.org.uk/. We will inform you if this right of referral applies to you. Click Search Media Ltd or DebtFriendly.co.uk is registered with the UK Data Protection Registrar and endeavours to follow all the guidelines and rules set out in the Data Protection Act 1998. We may disclose your personal information or access your account if required to do so by law, any court, the Financial Conduct Authority, the Office of Fair Trading or any other applicable regulatory, compliance, Governmental or law enforcement agency. Should any of the terms and conditions stated be breached, Click Search Media Ltd or DebtFriendly.co.uk has the right to terminate the agreement and immediately remove, cancel or suspend access to and use of the website. All disclaimers, indemnities and exclusions stated within these terms and conditions shall survive termination of the agreement between us for any reason. Click Search Media Ltd or DebtFriendly.co.uk is not liable for failure to undertake any obligation under this agreement if failure results from events out of its control, including without limitation Internet/telecoms outages, fire, flood, war. This privacy notice aims to give you information on how Click Search Media Limited collects and processes your personal data through your use of this website, including any data you may provide when you submit our online contact form. Click Search Media Limited trading as DebtFriendly.co.uk is registered in England and Wales with company number 07849566is the data controller and responsible for your personal data (collectively referred to as “Click Search Media Limited”, “https://www.clicksearchmedia.co.uk”, “we”, “us” or “our” in this privacy notice). We are a registered data controller with the Information Commissioner’s Office, registration number ZA036317. If you wish to exercise any of the rights set out above, please contact customercare@debtfriendly.co.uk for further details. To exercise all relevant rights, queries or complaints, please contact us at customercare@debtfriendly.co.uk to discuss your concerns. All debt solutions should be very carefully considered. We never charge for using our site information, but if you enter an Individual Voluntary Arrangement (IVA) or Debt Management Plan with any of our partner advisers then fees may apply and these are made clear by the advisers or in the documentation you receive. Retained payment may place you further into arrears. We comply with the Consumer Credit Act and you have the right to a cooling off period of 14 days. It is likely that your ability to obtain further credit in the short term will be affected and this may also be the case over the medium to long term. *In some cases and with some debt solutions up to 75% of the debt can be written off. The amount written off will depend on your circumstances, income, assets and the current write-off policy of your creditors. For example with an IVA solution you complete a questionnaire detailing all your income, assets and essential expenditure, including mortgage if you have one. After you've paid for all of your essentials in the month plus a modest amount for personal spending, the remainder is paid into your IVA. If, at the end of the five year IVA period you still have outstanding debts, your creditors may agree to write off the remainder. Other solutions apart from an IVA are available, and may be more suitable. The debt advisor will offer advice based on your circumstances. Copyright DebtFriendly.co.uk © 2011 - 2019 — All rights reserved. DebtFriendly.co.uk and the logo are registered trademarks of Click Search Media Limited.